Day 1 - Walls are Going Up! Construction has started on our new space in 4S Ranch! 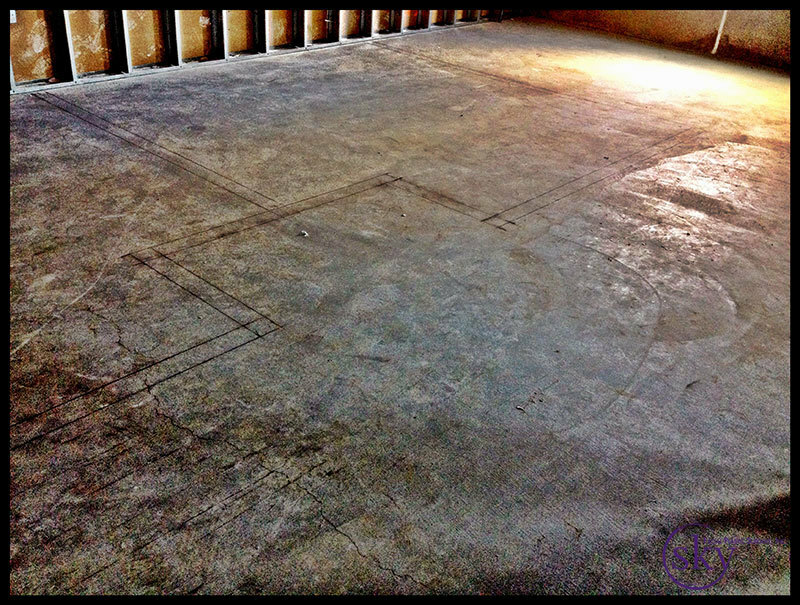 On Friday, the general contractor "snapped the lines," which means they drew the layout on the floor of the space. We walked the space to make sure that everything looked right. The photo below shows where the walls will be for the exam rooms and the hallway handwashing station. Early this morning, the crew showed up to start framing (putting the walls up). When I arrived, the drywall, wood, and metal frames were stacked neatly next to the building. A crane lifted the framing material up to one of our windows. Inside, men unloaded the material off of the crane, through the window and into the space. Meanwhile, other crew members were furring out the walls. 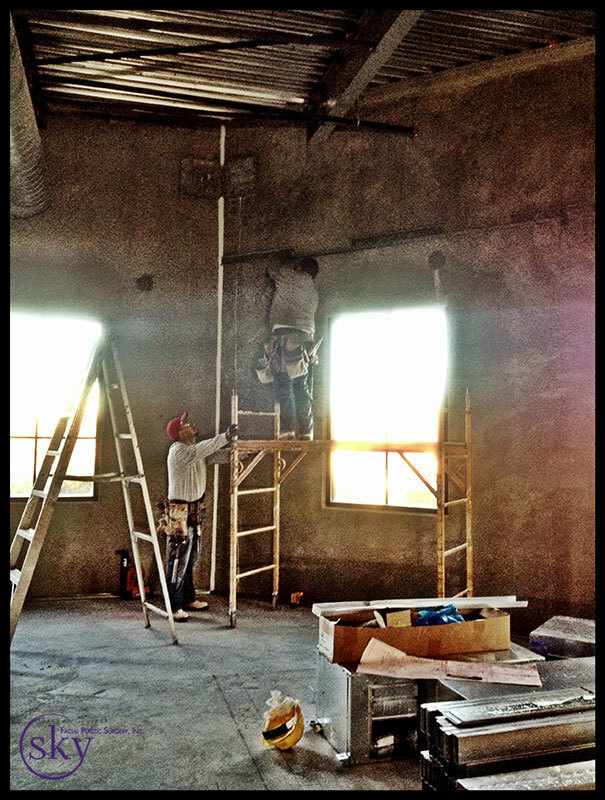 Most of the ceilings in our space will be 10' high. The county permit process is moving unusually slow. It took ten weeks to receive our first comments back. We submitted the revised construction documents last week and are meeting with permit officers this week to review the plans. We had to wait to start construction until we received the feedback, but now that construction has started, the process will move very quickly. It seems like a little unreal, especially since we have been waiting for this day for months. Read the next post in this series - "Day 2 - Framing is Done and Signs are Up!" Day 2 - Framing is Done and Signs are Up!